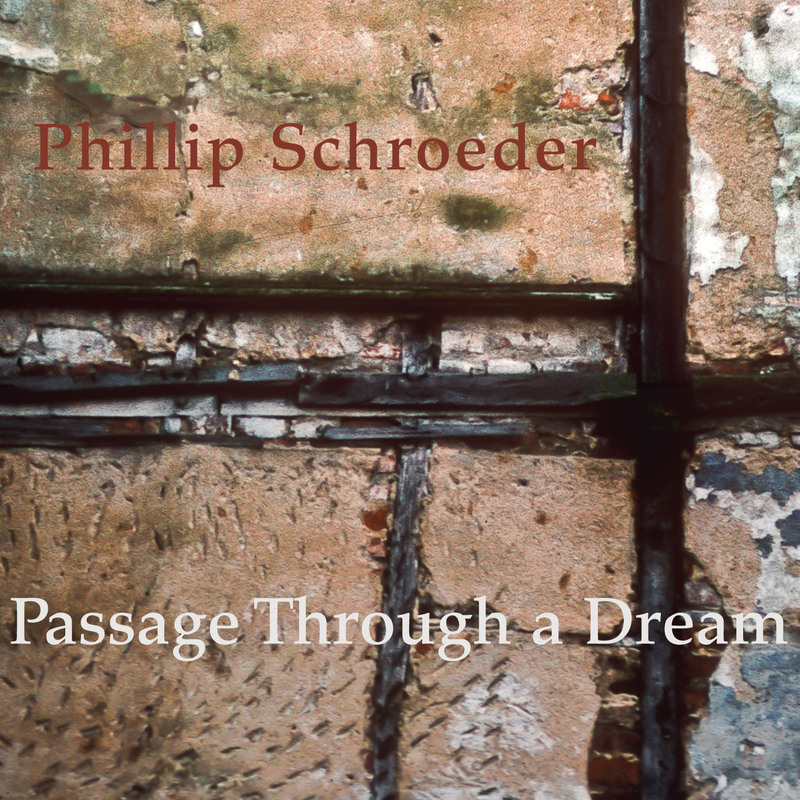 Passage Through a Dream offers five premiere recordings of new music by composer Phillip Schroeder—remarkably beautiful and vibrant tracks that feature lyric melodies and lush, intricate textures. Passage’s performers include Schroeder on piano and electric bass, soprano Erin Bridgeman, the multi-talented Rick Dimond on accordion and vibraphone, clarinetist/composer Michael Henson, harpist Jane Grothe, flutist Jennifer Amox, and new music clarinetist Marty Walker. "[M]elodic, emotional and often contemplative … Passage Through a Dream (Innova, rated A), opens with the upbeat title work … It is introspective with repeated chords, minimal and melodic. Michael Henson’s clarinet releases elongated passages that drift effortlessly as layers of Schroeder’s piano shimmer and cascade. The mood shifts to the melancholy with 'A Necessary Autumn,' a quality that seems to echo in the sense of loss or sadness that imbues the playing of clarinetist Marty Walker. One senses this works seeks to capture the reality and, perhaps, regret that come with recognition of growing older and life’s inevitable conclusion. Whether personal or observational, the piece has an undeniable impact. 'Sky Blue Dreams' has a gauzy, almost otherworldly--perhaps folkloric--aura about it. Soprano Erin Bridgeman sings with a pristine purity, her voice a comforting balm that floats in, above and through this lush music. The sweet melody benefits from a most harmonic ensemble … This particularly mystical-sounding piece is stunning and, like the rest of this excellent album, played with beauty and heart." "Pětice kompozic Phillipa Schroedera na CD Passage Through A Dream pochází z let 2007 až 2010 (závěrečná Sky Blue Dreams sice vznikla už v roce 1985, prošla však dvěma revizemi) a je do určité míry opakem i obdobou opusu Gaberova. Opakem: všechny kompozice jsou tu v souladu s názvem snové a snivé, až zasněné, prochvívá je jakási melancholická konejšivost, truchlivá hloubavost. Obdobou: celé album si podržuje značnou jednotu stylovou, zvukovou, náladovou a z této roviny nevybočuje. Přitom ovšem je dvojdomé. Kaskádovitý, zvonivý ústřední klavír, u něhož sedí sám skladatel (původně rocker a jazzman), je hravý, ale k jeho znění se přidávají další ingredience, táhlejší, povlovnější, vážnější, vzlínavější, a tento protiklad slyšíme většinou souběžně, ať jde o klarinet Michaela Hensona či Martyho Walkera a přídavné nástroje, jako je eufonium Jamieho Liptona či akordeon a vibrafon Ricka Dimonda. Závěr pojednou zmohutní, k dosavadnímu minimálnímu obsazení přibývá ﬂ étna Jennifer Amox a harfa Jane Grothe, Henson si přibírá basový klarinet a čistý a svěží vokál byl svěřen sopranistce Erin Bridgeman. Toto vyznění působí až dojmem chrámové exhibice a nevadí ani ohlas Glasse, který tu můžeme zaznamenat. Přitom je pozoruhodné, že celé toto nikoli nestřídmé, spíše uvážlivé a nevzrušené album působí značně osvobodivě, ba vzrušivě. Paradox? Proč? Jsou přece nehalasní umělci, kteří ve svém díle mají větší náboj nežli křiklouni." "Phillip Schroeder’s identifying characteristic in his release is digital delay … creating kaleidoscopic soundscapes that mesh the past and present … with lovely melodies submitted to varying lengths of delay." "Phillip Schroeder’s release could be of interest to people loving the sparseness of some post-minimalist albums. This album remains within the contemporary/new music field, sounds a bit improvised in its nature, mood provoking with slowly evolving melodies led by clarinet mostly. On the first track the piano, with minimalist flavour, hangs around the area the whole time like circles of water. On the second tracks it more appears as afterthoughts, colouring the scene, describing it with it. By the fourth track accordion describes the chords and keyboards with electric piano this time, still with the clarinet leading the themes. The last track enhances the mood with additional harp and flute passages to the melodically descriptive piano with a lead soprano voice singing a contemporary song with similar slow evolution to the previous clarinet’s evolution on the previous tracks."